The two-day conference launched off with an inspiring and high-spirited opening ceremony. 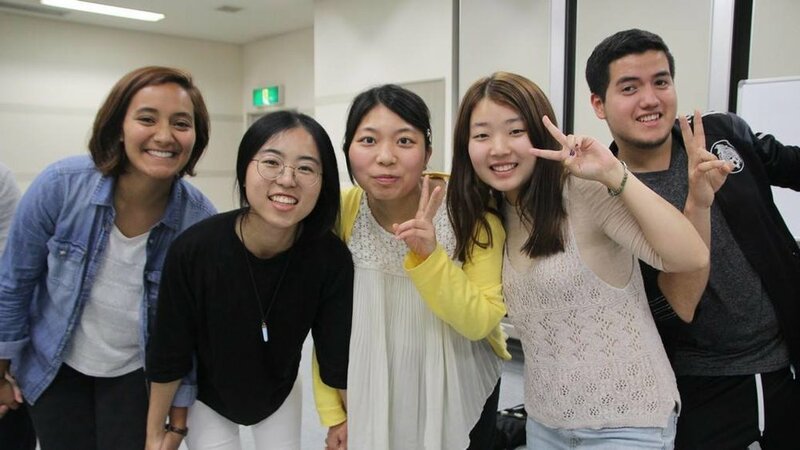 With students from Korea, America and Japan all gathered in one room, we could already feel the global spirit and significance of the next two days. The three CARP presidents were invited up onto the stage together to give a few opening remarks and encouragements. They all spoke about the vision of True Parents to unify the whole world and encouraged us to use this international conference as an opportunity to develop deep bonds with our peers from other countries. 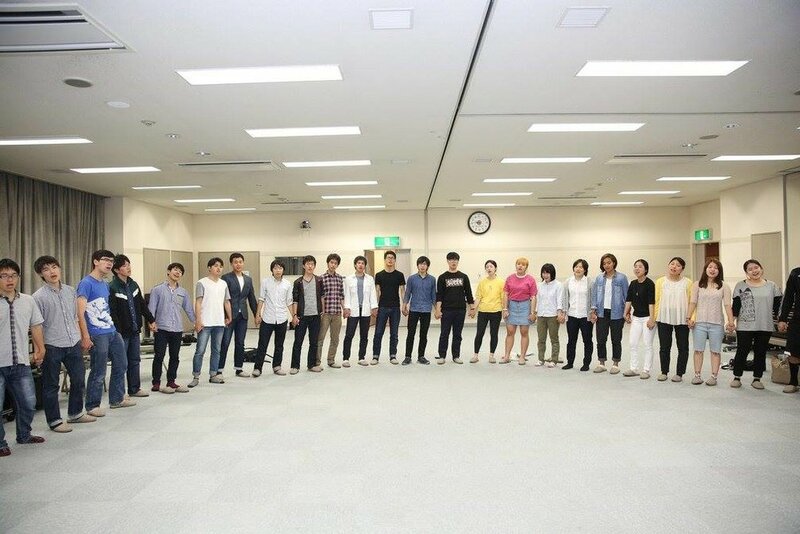 It was very inspiring to see the next generation of leaders from Japan, Korea and America all standing on the stage together, making a determination to work in concert toward the same vision and goal. We then had a chance to engage in icebreakers from each country. Korea started us off with the “chicken fight” where you hop on one leg only and try to knock down all members of the opposing team. The team with the most surviving members won. It was quite intense but everyone had fun. Then Japan introduced their game, “Satan,” where you evolve every time you win around of ‘rock-paper-scissors.’ You start off as Satan and the goal is to become the “messiah.” Lastly, America ended the session by placing participants into groups of 8 and having them create 2 dimensional and 3 dimensional shapes using their bodies. The criteria for judging the shapes were teamwork and creativity. The icebreakers served their purpose well as we were already feeling closer to each other. 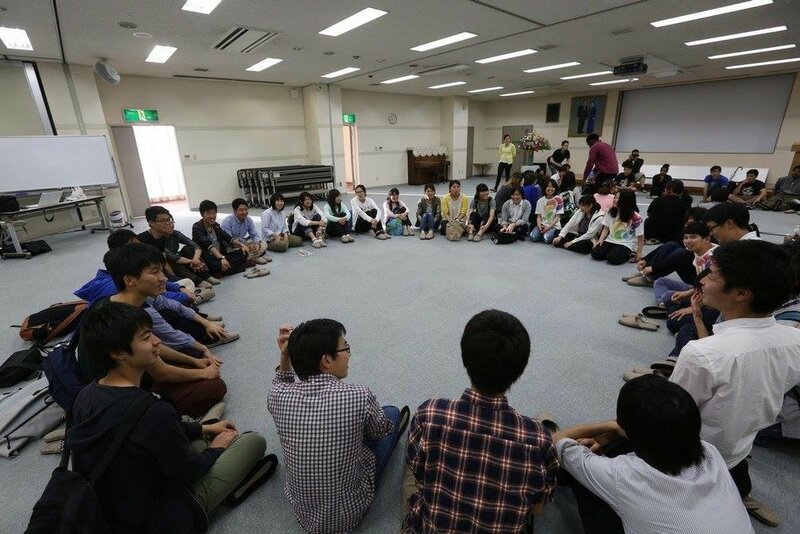 Right after these icebreakers, we created “families” with students from Japan, Korea and America all mixed together. The participants would spend the next two days in these families, getting to know each other better. We then had presentations from CARP Japan, CARP Korea and CARP America about their unique visions, missions and activities. We also heard testimonies from representatives of each country. CARP Japan also shared in detail about how they go about doing outreach and expressed their heart of never giving up. 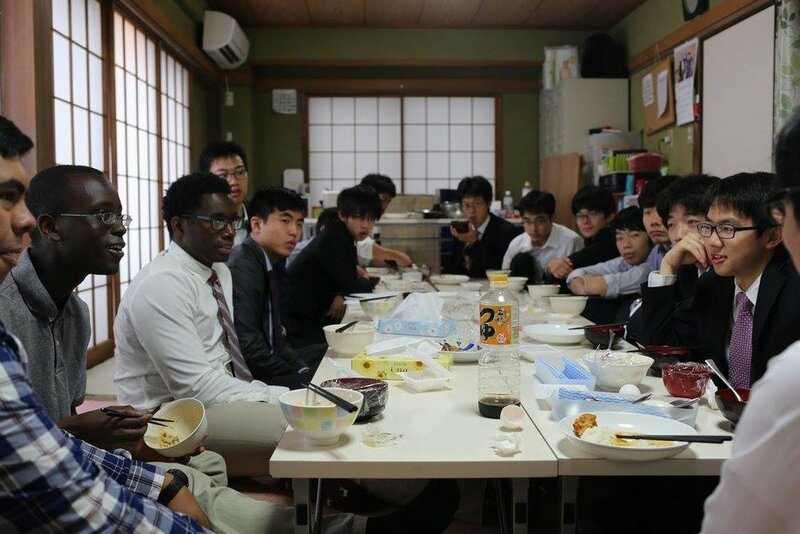 “CARP in Japan actually began with a group of students on campus who gathered to study and analyse the Divine Principle.” One Japanese student then gave a moving testimony about not giving up on his friend and always trusting that he would eventually join CARP. We ended the session with song performances from each country. Finally, we gathered in families and went out to Tokyo. Different families did different activities; visiting Asakusa, doing karaoke, and shopping. Then we went to different CARP homes. Our family went to Sosei CARP home where students attending Waseda University and Tokyo University live together. The students there welcomed us warmly and prepared dinner for us. We had dinner together and introduced ourselves. Then we played a charades game all together with a great on the line, Japanese cookies! We then met up at Takadano Baba for the moment that we had all been waiting for – All you can eat sushi, Kaiten Sushi! For many, it was the first time going to Kaiten Sushi so it was very special. It was like the kingdom of heaven, being able to eat as much sushi as we wanted. We had a lot of fun but we also felt immense gratitude to True Mother for allowing us to have such a good time together with our brothers and sisters. We would ask, “what is this? Does this taste good?” and the Japanese students would patiently explain everything to us in detail. It felt amazing to be able to experience something new and exciting together as a family. After having a feast at the sushi place, we set out on a pilgrimage to Waseda University and we were very lucky to have Mr.Inokuchi as our tour guide along the way. We passed by the house where True Father stayed when he was a student and the police station where he was questioned and tortured. This course is called the “Path of Tears” because of the sorrow and suffering that True Father went through during this time in his life. The tour guide encouraged us to try to connect to the course that True Father went through during his youth. He was a student just like us, working towards an ideal and big goal for humankind. We then took a picture in front of the Okuma Memorial Hall in Waseda university. It is a very historical spot because True Father took a graduating class photo in that very spot 60 years ago. And then about 20 years ago, the very first group of Americans went to Japan as an exchange and took a picture at this very spot. Today, we students from America, Korea and Japan took a historical picture here too! Through this, we came to appreciate the foundation laid by our predecessors and felt more connected to that foundation. It is our wish that the future will hold many more such historical moments! Through this appreciation ceremony, everyone felt acknowledged and we felt that yet another cultural barrier had been removed. It is easy to focus on the negative points in others but through this ceremony, we were able to bring out the best in each other. 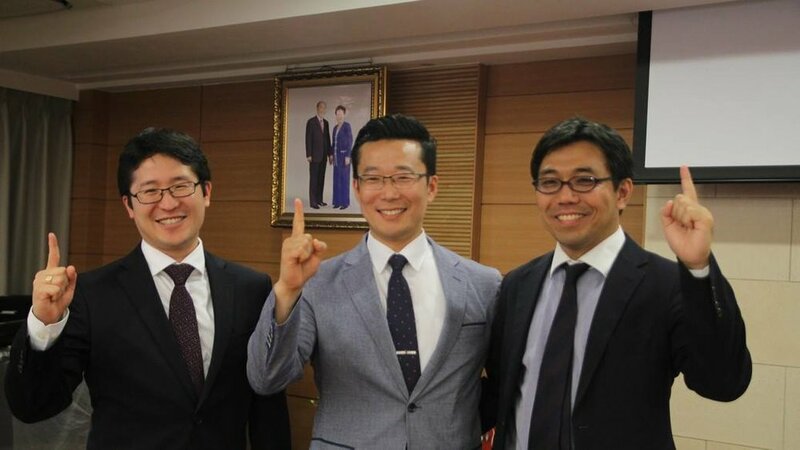 I truly believe that if we take the best aspects of Japanese, Korean, and American culture and spirit, we can create a heavenly culture that can embrace all of humankind! Our final hours together was drawing near so dinner time was preciously spent in families. We had a chance to do “popcorn appreciations” where each member got a chance to acknowledge and appreciate someone in their family. The conference came to an end as we sang “Saranghae” (meaning ‘we love you’) for True Mother. Then fun and excitement erupted as the students created a fun tunnel which everyone passed through.